Railway operators entrust the lives of their passengers and the goods of their customers to complex technical systems. These systems are spread across wide distances and connected by a state-of-the-art telecommunications infrastructure that allows precise and secure exchange of information in real time. But the functionality of technical systems is just one side of the story. 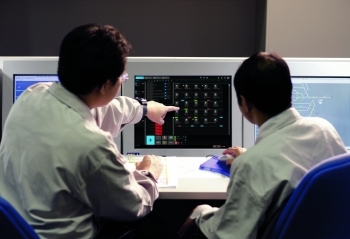 Wherever the dispatching of personnel or machinery becomes mission-critical, the staff from the control centers needs to be able to address and manage them independently of the connected communication technology. 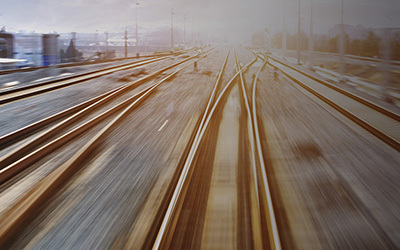 Atos delivers fully integrated telecommunication end-to-end solutions that ensure dependable information flows, making it easy for railway operators and integrators to focus on their core business and competences. The Atos’ Billing for GSM-R solution enables GSM-R providers to flexibly bill and rate the entire communication within their networks and also facilitates smooth integration of multiple network elements. 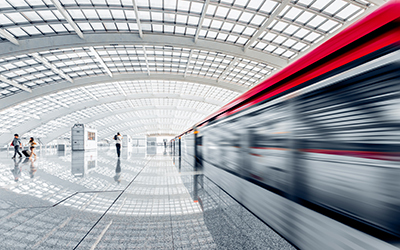 The rail traffic management standards require telecommunication solutions that guarantee the permanent flow of mission-critical information. No matter which standard is used, GSM-R, Tetra or LTE, the bottom line is that they should be continuously available. If not, the train may stop or, even worse, an accident may occur. In a business where even a 5-minute delay is a major cause of complaints, railway operators need to ensure that every staff member knows exactly what to do in order to enable the complex interplay of operations necessary to guarantee efficiency and safety. This task can only be accomplished with railway control centers equipped with state-of-the-art solutions for the command and control of communication channels. 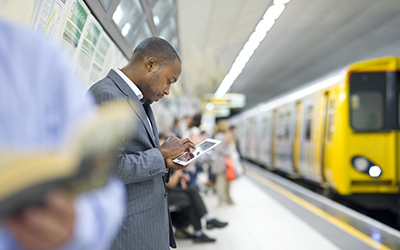 To meet these demands, railway operators and railway systems integrators need a partner with profound expertise and the ability to provide a single solution with end-to-end functionality across the telecommunication domain. 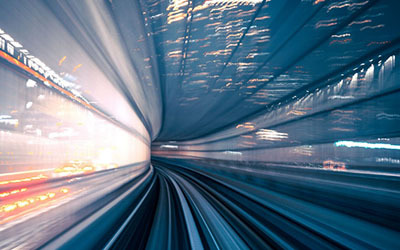 Atos meets the challenges that railway operators and integrators are facing. With the human agents involved in the railways’ eco-system in mind, we offer solutions to manage, use and enjoy the complex world of railways. Picture the following scenario: A mother with her small child waits for the train. The little naughty one likes throwing things out of the stroller and his teddy bear is the first victim that lands on the tracks. What a tragedy! The mother cannot leave the teddy to his fate, so she pushes the emergency button and is connected to the station controller. The controller is a bit surprised and switches the platform CCTV camera to the tracks to spot the guy in danger. In his dispatcher terminal he sees that the next train needs some time to reach the station and, luckily, a maintenance team is nearby. He organizes a group call from the same terminal with the rail traffic controller, train conductor and the maintenance team, to coordinate the steps to take. They decide that the train should wait for a short time in the previous station, while a member of the maintenance team saves the life of the threatened passenger. He keeps tracking all movements of the maintenance staff and of the train. The rescue operation is a complete success. What a challenging day! 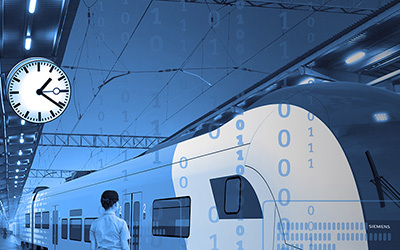 Behind the scenes and hidden from the view of passengers or the rail traffic controller, Atos’ comprehensive solution offers the tools for meeting the daily challenges of railway traffic. 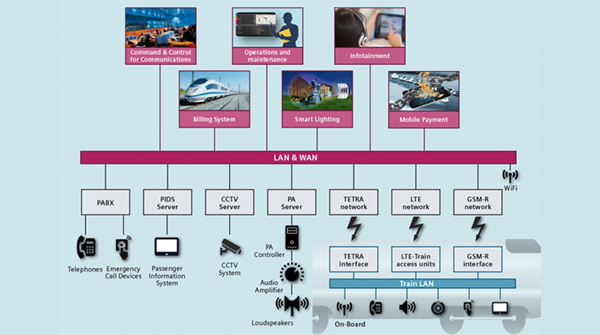 The system consists of an application on the passengers’ device with a server in the background, an indoor positioning system, a mobile payment solution, an operation and maintenance support system, a command and control tool for telecommunications with an Automatic Vehicle /Person Location Service functionality. All these tools are connected to wired and wireless networks, to emergency systems, public information displays, closed circuit TV, emergency systems and many others. Since your focus is on building and operating your railway system, we take care of engineering and deploying the integrated telecommunication solution to perfectly fit your needs. With our strong governance model we successfully execute complex projects spread across multiple international locations at a consistently high quality. Atos is the reliable integrator who delivers everything in one complete package. Taking responsibility for the end-to-end functionality, we make it much easier for our customers to deal with technical, commercial and contractual complexities in an area that is not their core business. 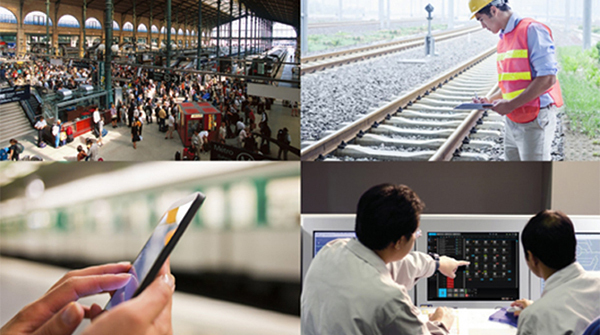 Atos’ own products are placed at the interface between human agents and the railway systems. From this interface we learn about their needs and are able to offer you optimized solutions, focused on real use-case scenarios.